Union Minister of State for Tourism Development, Ms. Renuka Chowdhury, has assured Government of Orissa that there shall be no dearth of money for development of tourism infrastructure in the State. The Union Government shall offer major share of the fund, she has reportedly told to Orissa�s tourism Minister S.N.Patro. His own party men from Tirtol constituency heckled minister for Pachayatiraj and Secretary general of Biju Janata Dal, Dr. Damodar Raut in his Secretariat chamber on May 31. The local Press had earlier reported that the same Minister had faced the same sort of humiliation the day before in his official residence. The party members went berserk as the Minister refused to intervene in transfer of a Junior Engineer of the Block and a District Inspector of Schools. About twenty active members of BJD led by Deputy Chairman of the District Board Mr. N.C.Nayak and local party unit president Ashok Raut shouted at the Minister in most objectionable manners. But no action against them was sought for by the Minister. The Secretariat security staff also remained silent. How could they come into the Secretariat, who gave them permission, is not determined. This is a sample of how in the hands of the ruling party members the Secretariat has lost its sanctity and security. 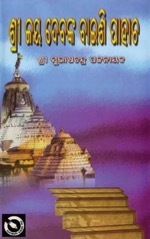 Clearly two decades ago, a brilliant son of the soil of Orissa, Dr. Asoka K. Misra, invented a technique by which character of a matter takes a new form under controlled application of power, for a new form of use. This technique, captioned as ‘Misra Technique’ in the high caliber referral journal of United States of America: Metallurgical Transactions A; Vol. 17A, February 1986, was patented in USA as a “method for controlling solidification of metals and other materials” in 1993. Now this technique, Misra alleges, is being misappropriated by the international giant Philips for use in its project ‘fluidfocus lenses’. On the other hand, the Philips’ claim is being contested by a France startup ‘Varioptic’. “From what we’ve seen of Philips’ fluid lens demonstration, its our technology”, asserts the company spokeswoman Etienne Paillard. But as both of them claim, they had begun working in the matter after 1993, i.e. after Misra Technique, reported nine years ago in MTA, was patented. Hence Misra seems to be right in alleging that his invention is being misappropriated. In our earlier report dt.24 Sept.2004, captioned “Misra Technique vrs. Philips”, we had dealt with this dispute. A communication from Philips’ research scientist Dr.Ir.S.Kuiper dt.17 Oct.2004, available to us, he has said, “I looked at http://www.orissamatters.com/file-assets/misra.htm and saw indeed that Mr. Misra thinks Philips jeopardizes his rights”. 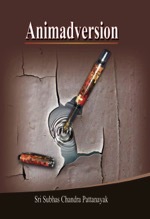 However, he says, “from the drawing at this web site, I see no analogies with Philips lens”. We had attracted attention of Dr. Misra to this. He says, “the material used by Philips or Varioptic and the end product they propose is not material. The crux of the issue is the method they use. That method is my method”, he says. The Misra method, reflected in the abstract of his patent document, is, (a) placing of a molten material in contact with a first electrode formed from a conductive material and a second electrode formed from a semi conductive metal oxide and (b) passing an electric current between the first second electrodes while the molten material is cooling at a current density of 10 to 500 mA/cm.sup.2. This method was invented by Dr. Misra to eliminate the causes of failure as experienced in all earlier experiments suffering set back due to short circuit for use of higher voltage of electricity. The experiment he conducted was on low-melting monotype metal alloy placed in glass tubes with electrodes on both ends of the tube in direct contact with the melt. And the result was the desired modification of structure of the material. In reporting Philips’ claim, Ian Austen (NYTNS) had carried Kuiper’s version that described how the inside surfaces of the tube containing the lens were covered with water repelling chemicals. The tube is filled with two liquids: one that conducts electricity readily, for example water, and another that does not, such as oil. “When a charge is applied through the electrodes, the surface tension of the liquid changes”.The Varioptic version is of no difference. “A water drop is deposited on a substrate made of metal covered by a thin insulating layer. The voltage applied to the substrate modifies the contact angle of the liquid drop. The liquid lens uses two isodensity liquids, one is an insulator while the other is a conductor. The variation of voltage leads to a change of curvature of the liquid-liquid interface, which in turn leads to change of the focal length of the lens”. A cursory analysis of all these versions leads one to believe that Misra Technique having heavily preceded the other two, apprehension of the inventor of the first one that his technique is being misappropriated by Philips and Varioptic cannot be held as forceless. The reaction of both Philips and Varioptic to Misra’s allegation revolves round the fact that they are using liquid material where as Misra experimented on metal and alloys. This argument has no strength. Because, the crux of the issue is not the matter, but the method. 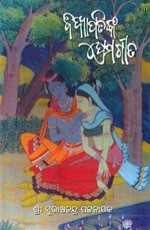 It is definite that Misra Technique is well grasped. It is not bad. In fact, every scientific invention is meant for the world to grasp. But it is bad when a business house grabs it for pocketing profit out of its use by keeping the inventor eclipsed under its avarice. Have at least a socio-economic survey on the impact of industrialization so that the problems of the displaced could be scientifically addressed to, advised a subject-matter specialist, here at a state-level consultation workshop on Resettlement and Rehabilitation (R&R). He is Mr.S.M.Jamdar, Revenue secretary to the State Government of Karnatak. 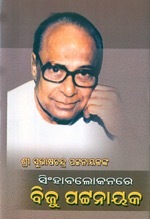 In its over-enthusiasm to help private capital, the Naveen Patnaik government in Orissa has caused catastrophic damage to the fundamental rights of the poor public who are being rendered homeless, batch after batch, when the records of right over their land are being changed under the Land Acquisition Act, in favour of the industrialists. The latest instance of State patronage to private industry at the cost of the poor sons of the soil has been laid bare at Kalinga Nagar Industrial Complex, where administrative action was so brutal that people, who were demanding appropriate compensation against their land before an industry starts, fled away into the deep forests in fear of further police atrocity, leaving behind the kids and elders who could not run. This resulted in starvation death of two baby children and an old abandoned man. Suppressed agony of the people all over the state following this particular instance has generated waves of qualms in the corridor of power that made it have the aforesaid workshop. Be it an eyewash or not, a R&R policy was placed to be projected as the state Government�s proof of its humanitarian approach to the problems of the displaced. The workshop was to work on this framework. Pointing out that absence of socio-economic survey of the villages acquired for use by industry in the sate leads nowhere in rehabilitation, Jamdar underlined that only such a survey may make the government aware of the infrastructure that was traditionally available to the displaced persons cementing their adherence to their villages and show the way as to how the same could be re-created in the new habitations so that the displaced people would not feel that they are thrown away from their living environment. Revenue secretary T.K.Mishra, maintaining that the existing R&R policy is quite satisfactory, wanted the workshop to suggest if any improvement could be bought about so that the mass unrest being witnessed over the rehabilitation issues are adequately tackled. Development Commissioner Ajit kumar Tripathy suggested that the policy should be such that the rehabilitation sites should ensure amenities more than what was available to the displaced persons in their earlier habitations in order to attract them to the change in their environment. UNDP had prevailed upon the state government to organize this workshop. The evil design formulated against Oriya language and promulgated by the minister of higher education Samir Dey, whose mother tongue is Bengali, has been defeated and the people of Orissa have saved their mother tongue again from Bengali conspiracy. A couple of hours after Samir Dey told the Press today that the decision to do away with Oriya as a subject in degree curriculum, Chief Minister Naveen Patnaik took a meeting with top bureaucrats and used his prerogative to nullify his minister�s orders. Scrap any subject you deem proper, but keep your hands off Oriya, he told Samir. The CM�s decision was accordingly communicated to the media. 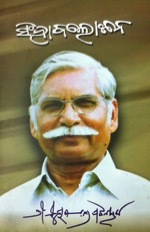 S. Sanyal, a Bengali by birth, is the Secretary of higher education when Dey holds the portfolio. 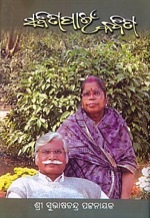 It is yet to be known as to who of these two cooked up the idea to scrap Oriya from the degree Colleges of Orissa. Chief Minister Naveen Patnaik�s marked distance from the mother tongue of the state must have given them a congenial climate to contemplate this design. But the people of the State including the sycophants of Naveen rose in revolt against this offence immediately after the design was discovered. Naveen experienced for the first time in his life the wrath of the total citizenry of the state over this issue and that made him mend his government�s ways. It is clearly a people�s victory. But the people have a right to know as to who first cooked up this conspiracy against their mother tongue. His party senior Biswa Bhusan Harichandan, who, from the BJP segment of the ruling coalition in Orissa, holds the portfolio of Law and heads the Cabinet Sub-Committee on Higher Education, has come out with a clarification that Minister Samir Dey might have been misled by the bureaucracy to approve scrapping of Oriya language from degree curriculum in government and non-government Colleges in the State. The whole State of Orissa is in bitter agony over the government decision to do away with Oriya study in centers of excellence in higher education like the Ravenshaw College and other 14 government and 125 non-government Colleges. It is an inexcusable insult to the national pride of the Oriyas. Politicians, irrespective of party affiliations, have expressed shock to know of this mischief. Law Minister Bishwabhusan Harichandan of BJP has said, “The Higher education department cannot scrap Oriya from the curriculum without express approval of the State Cabinet”. Many a ministers of the state have decried this decision. BJD heavyweight Sangram Keshari Berma, who heads a high-membership association of teachers, has threatened to resort to a state-wide strike against the foul play, if the minister does not withdraw the nasty order. Orissa Gana Parisad and the left parties have come down heavily on the government alleging that the Chief Minister, who does not know Oriya, has provided an anti-Oriyas with the opportunity to play havoc with the people’s mother-tongue. Had there been anybody other than a mindless man like Naveen Patnaik in power, a Bangali by birth like Samir Dey could never have dared to pass orders to do away with Oriya in Orissa’s higher education institutions. As admitted by the Law Minister, this decision has been taken behind back of the State cabinet. The entire Opposition, openly and senior leaders of the ruling coalition, off the record, are pointing out their fingers at the Chief Minister, who does not know the mother tongue of Orissa, for this uncalled for assault on the national identity of the Oriyas. 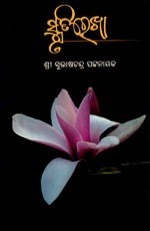 His aversion to Oriya language proved by his conspicuous negligence to the Official Language Act of Orissa, has encouraged Samir Dey to play his foul trick against the Oriyas. If he wants to escape responsibility, he must sack Samir Dey for having caused so much damage to the Oriya pride. No Oriya can ever forget the mischievous conspiracy Bangalis had cooked up against Orissa using the advantage of their being in the close circle of the British bosses as their “native servants”. Is Samir’s action a new version of that conspiracy? The answer cannot be a “no” unless otherwise established by an open investigation. To facilitate this, the Lingua-Benga Minister needs to be sacked summarily. So also, S.Sanyal, the Secretary of Higher education department, another specimen of Bengali-tongue bureaucrat, who, as apprehended by Harichandan, might have initiated this nasty proposal, deserves oustal from his post. Continuing Sanyal in the department of Higher education, if he has initiated the proposal to scrap Oriya from eminent Oriya Colleges, would be a danger of higher potency to Orissa. 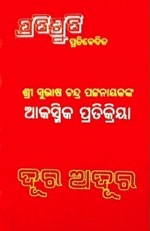 If Naveen fails to rise to the occasion, end of his government under people’s wrath would be most welcome.